Separate dough into 8 triangles. 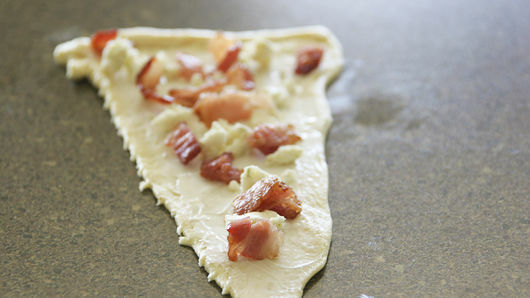 Spread each triangle with 1 teaspoon of the cream cheese. 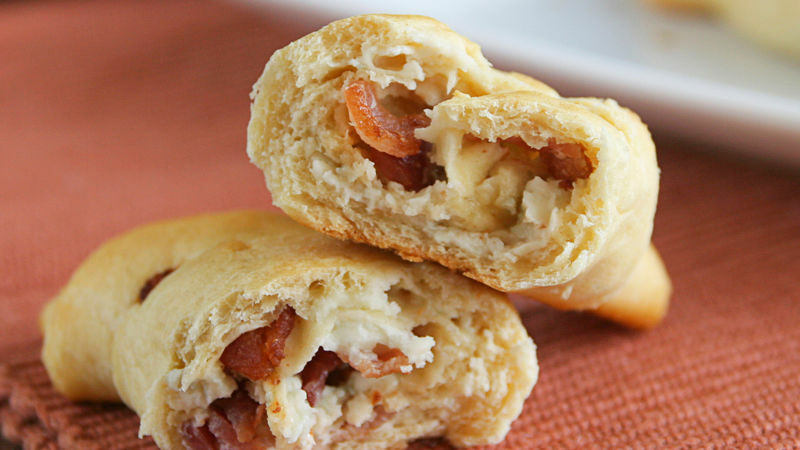 Top each crescent with blue cheese and bacon. Roll up, starting at shortest side of triangle, rolling to opposite point. Place on ungreased cookie sheet. Curve into crescent shape. If you don’t like blue cheese, substitute your favorite soft cheese. Make things even easier by buying precooked bacon or by using real bacon bits in place of the cooked and crumbled bacon.